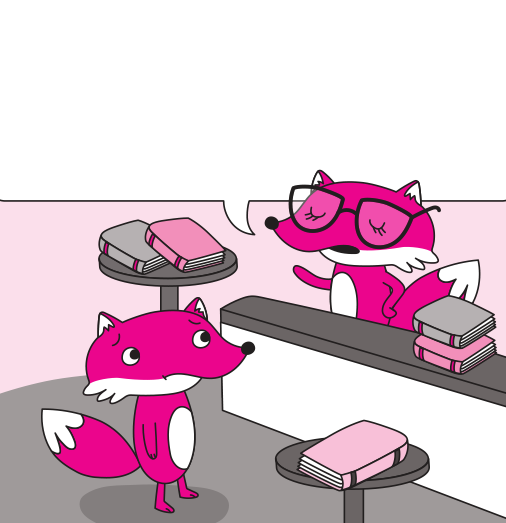 Let’s begin with our feature, SuperClues: The Internet Game of Dropping Hints (page 34). It’s the conclusion of a three-part series by longtime contributor Stephen Sniderman. In the final installment, he describes how he turned a secret code he learned as a teen into an online game he shares with friends and fellow word enthusiasts. Sniderman even presents a sample round from the game so that you can test yourself by playing along. 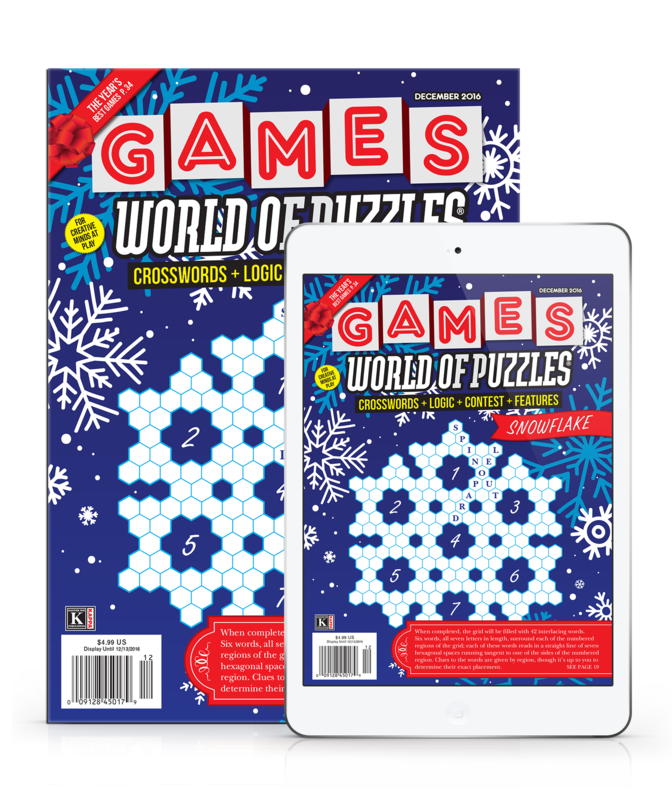 Our full-color section also includes several fun puzzles for fans of logic and math: R. Wayne Schmittberger’s Diamond Exchange (page 38) and Marek Penszko’s New Year’s Wishzzles (page 43). You’re guaranteed to enjoy both of these puzzles, which will challenge you in various ways. On the other hand, if your goal for the New Year is to improve your Scrabble skills, try Scott Appel’s Your Word Against Mine (page 42). 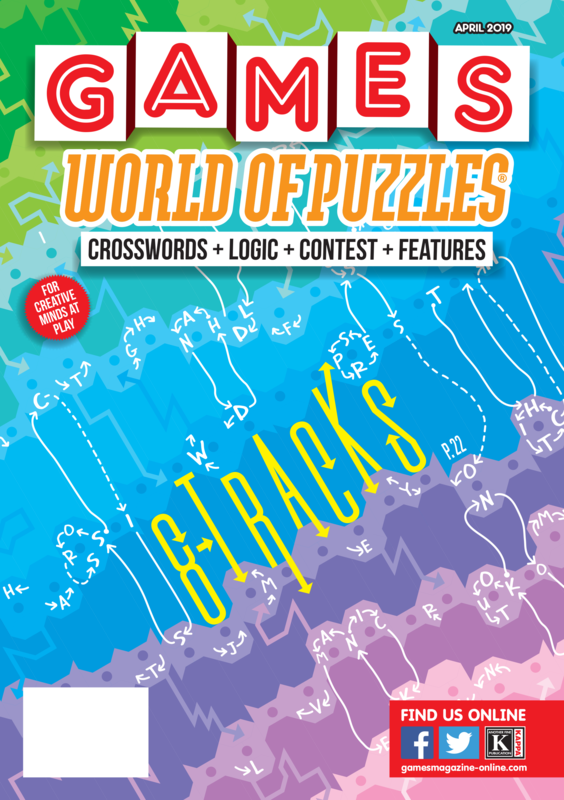 This month it’s all puzzles—see if you can play with the pros. 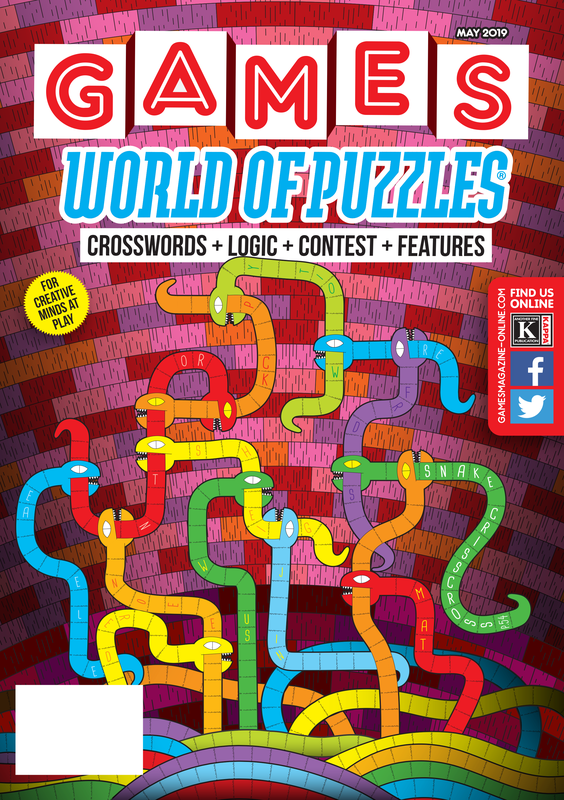 As always, our Pencilwise section is packed with a plentitude of puzzles. 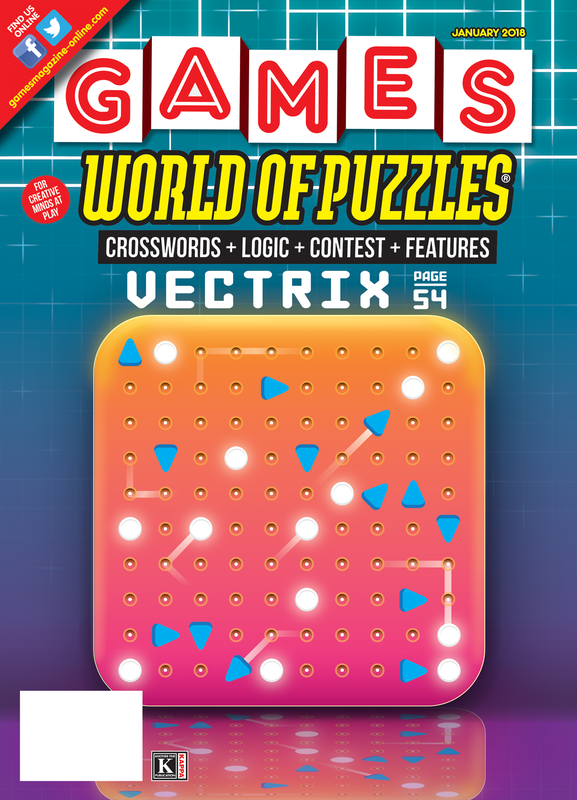 New offerings include Raymond Young’s SuTriominoku, an innovative sudoku variant, and Four by Four (page 49), a word-forming puzzle by Erich Friedman. Among the old favorites are Mike Nothnagel’s Mixed Doubles (pages 3 and 22) and Don Henderson’s Quint-Essential (page 65). And we’ve heard your requests to bring back 500 Rummy; you’ll find it on page 64 of this issue, and we’ll make sure not to skip it in the next few issues. 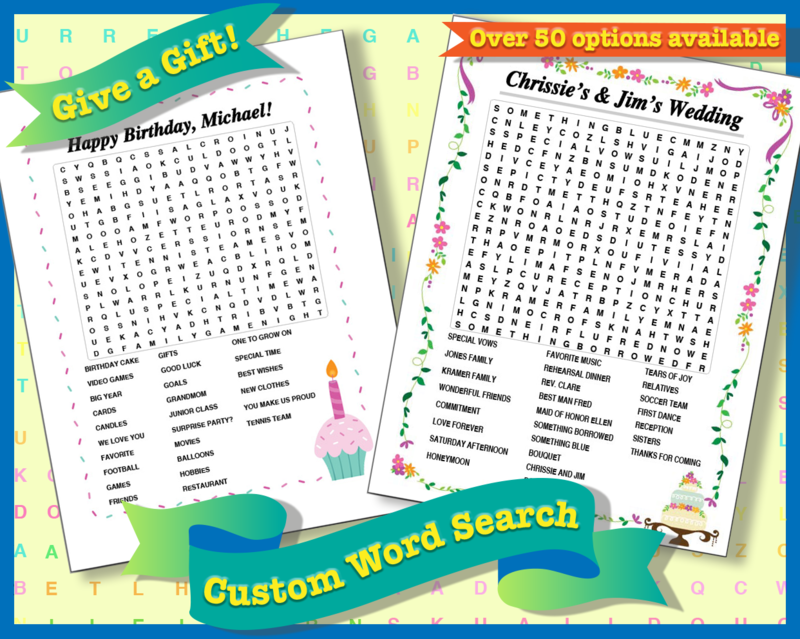 Of course, those are just a sampling of what’s inside—just find the puzzle you like best and start solving! 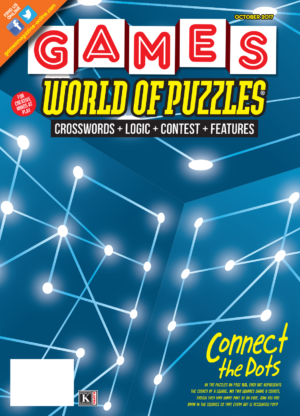 We at GAMES WORLD OF PUZZLES wish you a healthy, happy New Year filled with puzzling enjoyment!